‘EVE’ is more than a gaming console, it's a multilayered platform. 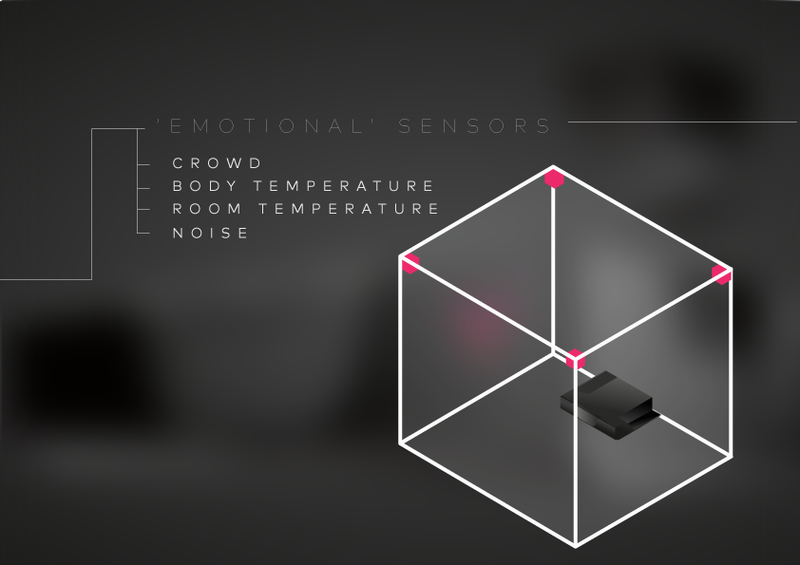 the ambient where the primary gaming is going to take place; in order to gather ‘mood data’ that will eventually set the ‘gaming mood’. b. 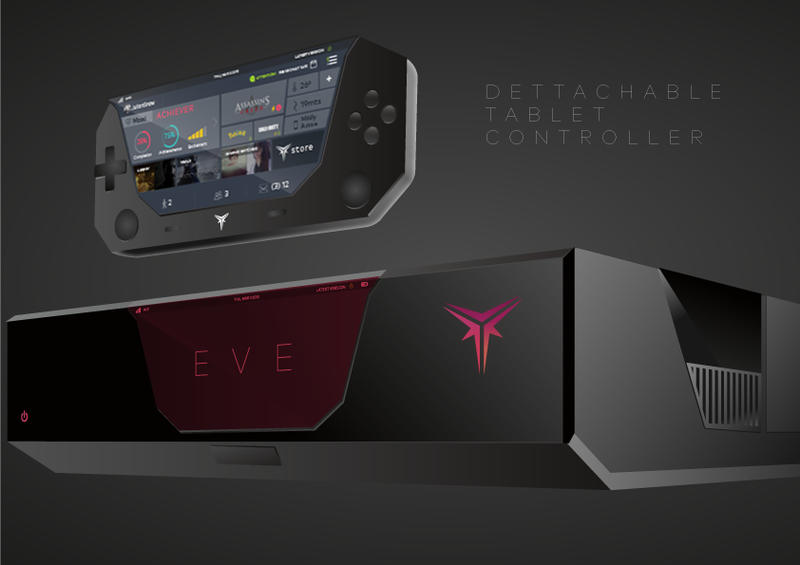 A detachable tablet controller than, in itself, features multi-touch controls, motion controls, Wi-Fi/4G capabilities for streaming (and storing) games on the go, electrical sensors on the back for mood tracking, a large OLED screen for general UI control and notifications. 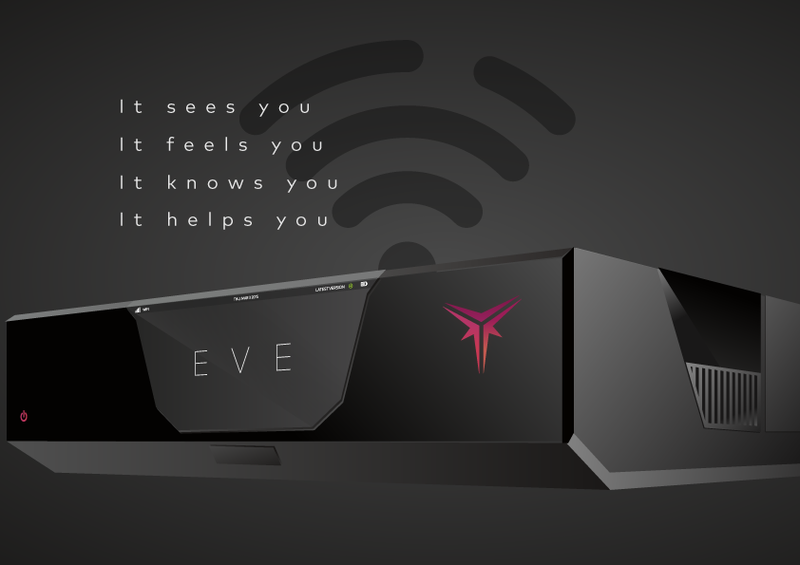 c. The console will have installed a ‘surveillance-based’ operative system that will let it connect to every device owned by the user in order to gather data for later extrapolation. 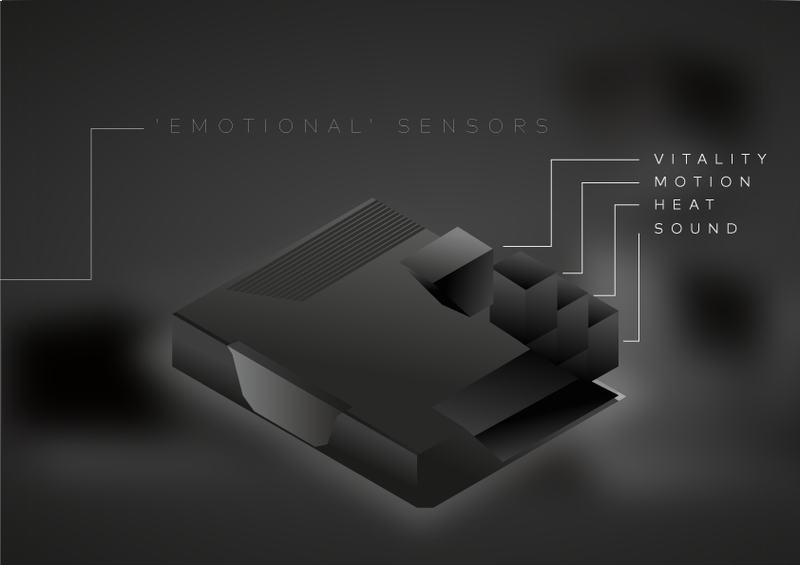 d. In addition, the console will automatically download parts of games for free for the user to try (depending on the sensor, surveillance and gaming data). 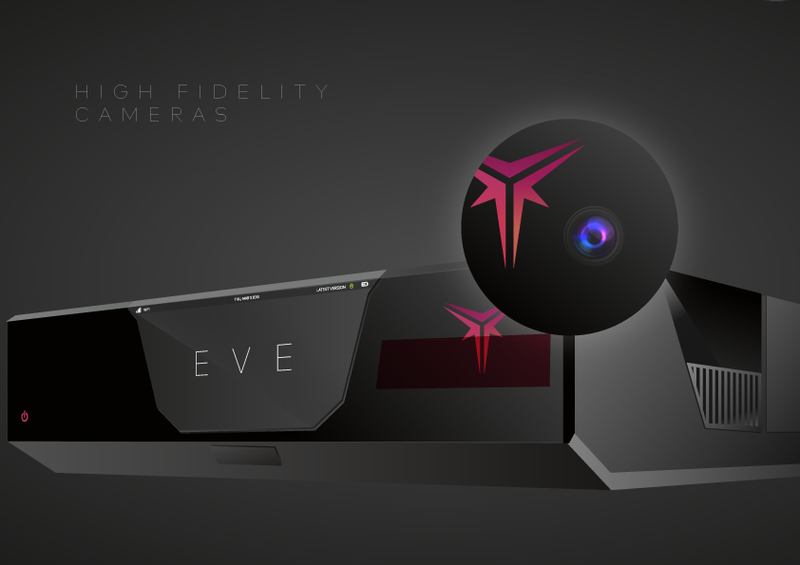 e. High fidelity cameras on the front of the console that can detect gestures, read user’s lips and features Time of Flight technology, with a 1080p RGB camera and an active infrared system that allows for precise tracking even in low-to-no light situations and color sensors to measure how flush the skin was and the infrared cameras to track blood flow underneath the skin. Phase 1 - Retrieve: This phase happens from the moment the ‘EVE’ and its sensors are set up. The user don’t need to do anything other than live, not even gaming is necessary. ‘EVE’ will gather a large amount of data that will be extrapolated into a ‘Gaming Mood’ that will let the console take actions such as automatically downloading trials of games or various mobile tasks. 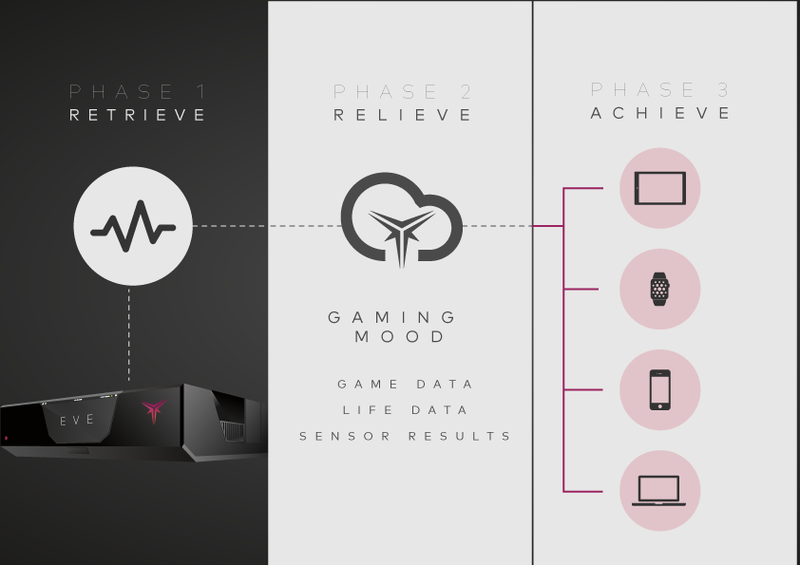 Phase 2 - Relieve: Basically, this is the phase where all the aforementioned data (gaming patterns, sensor data, environment data) comes together and is extrapolated into a ‘Gaming Mood’. 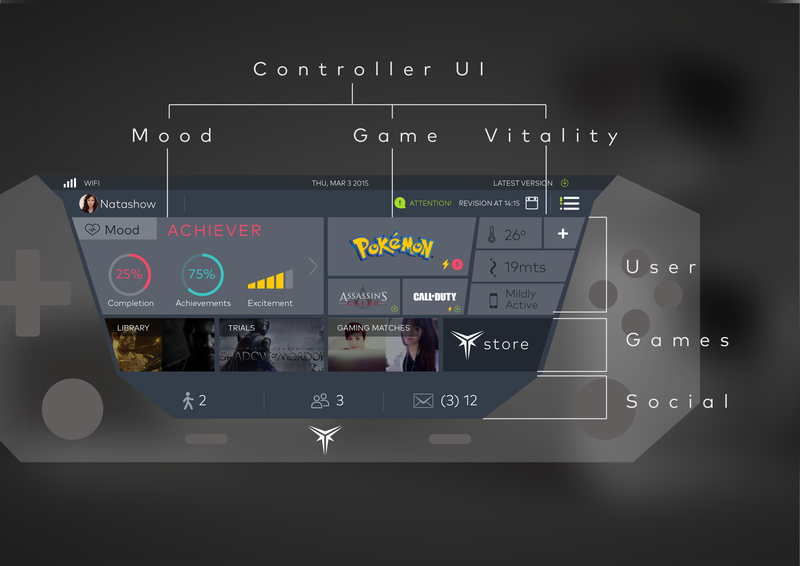 Phase 3 - Achieve: The setting of a ‘Gaming Mood’ will trigger some outcomes for both the console and the devices attached to the user, so the user is constantly in a state of play, even when working or studying.